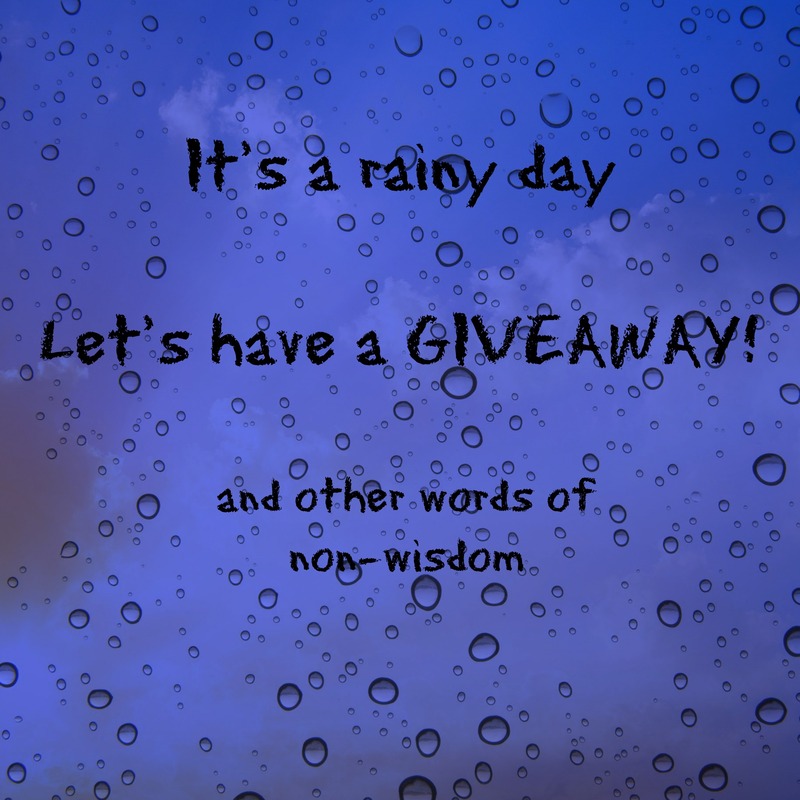 Rain, Reading and A Giveaway! It’s raining today in Minnesota. We need the rain. It’s May and I love the flowers popping up through the soil and the seeing blossoms on the trees. Yes, it truly feels as if spring is finally here. I am in organization mode. I am normally not an organized person. I seem to find things better in messy desks and cluttered tabletops but I realize to be productive I might have to do a little organizational work. That is hard for a creative mind because our mind is always spinning with new ideas and it is hard to stay focused on one thing. Today I am trying to not and I repeat—not—multi-task. Do any of you have the multi-task problem? So far today I have been able to stick to one thing at a time. My bones seemed to creak more when I got up so I put on my Rodney Yee AM Yoga and practiced stretching my bones. I took time for writing in my prayer and gratitude journal, and now I have decided it is the perfect day to give away a few Audio Copies of The Penderghast Puzzle Protectors. Wherever you live, if it’s raining and cloudy and you have the time, pick up a book or hook up your headphones and relax by letting an author take you into another world. I am giving away five audio copies of The Penderghast Puzzle Protectors. Make a comment about the weather, multi-tasking, or leave me an organizational tip I can pass on and you will be signed up for the the drawing. Drawing will be on Monday. And if you are not signed up for my newsletter on my website julieseedorf.com, hop on over there because some time next week I will be updating my website and I will also give away five audio copies of one of my Fuchsia Books or The Penderghast Puzzle Protectors to someone on my mailing list. Have a beautiful day and remember one task at at time. Try it you might like it. I will let you know how that works out for me today. Next A Valid Opinion or A Rant? Censorship? I live in the suburbs of Chicago and it is getting very cloudy now, after a sunny morning. I think the rain from Minnesota will be here soon. We are suppose to get storms today and colder weather tomorrow. Would enjoy an audio copy of “The Penderghast Puzzle “Protectors”. Hi Dianneke, Please email me at hermionyvidaliabooks@gmail.com so I can send you the instructions for your free audio copy of my new book. Thanks for commenting and I hope your weather is better. Ours now is gorgeous. Not so organized myself. It is supposed to rain tomorrow, but we need it ,so not complaining. Would love to win an audio copy of this book! Thanks for the chance! Hi Barbara, I will send you instructions to download a free e-book of my new book. Enjoy. I think your address is on my mailing list. If not, email me. I live in California, so rain is a blessing. Today it is bright blue skies, light breezes, and worth lounging in the garden with my audiobook. I used to be an official multi-tasker as a teacher with a hundred things needing attention…I was pretty good at it. Now, two years into my retirement, my multi-tasking is more recreational: catch up on tv dramas while texting family and keeping up on my latest book drinking a freshly brewed tea and checking on the cookies in the oven. My organization method stems from my teaching days: color coded folders, boxes of folders, organized folders, print and online calendars, date books! Wow, did I share too much? Thanks for a great giveaway opportunity. I’m getting into audiobooks…they’re great! HI Kathleen, Congratulations. I will be sending you an audiobook copy of my new book. I love your recreational organizing. I have to try that. I think I have your email address. I used to be more organized before I got sick. It drives me bananas to see it a mess & not be able to clean, clean, clean. I just keep listening to my hubby’s advice when I’m overwhelmed. How do you eat an elephant? (One bite at a time.) lol. Your health is more important than organization. Enjoy your life and be messy. I am better messy. I will check my mailing list to see if I have your address. I will send you a free audiobook of my new book. Congratulations! cold and rainy. I will be glad when the sun comes out. Hi Julie, I hope the sun has come out in your part of the world. Thank you for commenting. If you send me your emal address to hermionyvidalia books@gmail.com I will send you a link to download a copy of my new book. I live in Alabama so it is spring here and sometimes rainy and muggy. Pollen has been awful but we have had a lot of beautiful days in the 70’s…I would love to listen to an audio book… Marilyn ewatvess@yahoo.com. Hi Marilyn, Thank you for commenting. I have never visited Alabama but I have heard it is a beautiful state. I would love to give you an audiobook. Thank you for leaving your email address. I will get one sent this afternoon. I hope you enjoy it. Thank you all for commenting. Watch for later contests or just because giveaway gifts when you comment. I am very random at that but there are days I just feel like giving something away. Thank you Julie! Love your books! Looking forward to the next!